It’s well known that many associations between brands and charities are really just there for the financial gain of both parties. At Vine House Farm though, the reasons run much deeper and our relationship with The Wildlife Trusts reflects not just the ethos we have about wildlife farming, but the concern we have for the wider health of the environment we all live in. A measure of our commitment to the relationship is the fact that we've given up to 5% of our sales to The Wildlife Trusts for customer purchases whether they are a Wildlife Trust member or not, and £5 for every new Wildlife Trust customer. This has added up to over £1.3 million donated over the last 10 years. Renewing our partnership in 2018 has led to a few changes, we now give £10 per new Trust customer and 4% of every sale to all Trusts that are working in parnership with us. But crucially, and to reinforce the point that the relationship isn't just about financial gain for us, the donation has never been added to our prices – it’s simply something we allow for and our prices remain some of the lowest in the market. So our commitment to the Wildlife Trusts is long term and, if you buy from us, you're also supporting their vital work - which is twice as good for wildlife. The Royal Society of Wildlife Trusts (RSWT) is an independent charity, with a membership formed of 46 local trusts, across the whole of the UK, the Isle of Man and Alderney, all working for an environment rich in wildlife for everyone. 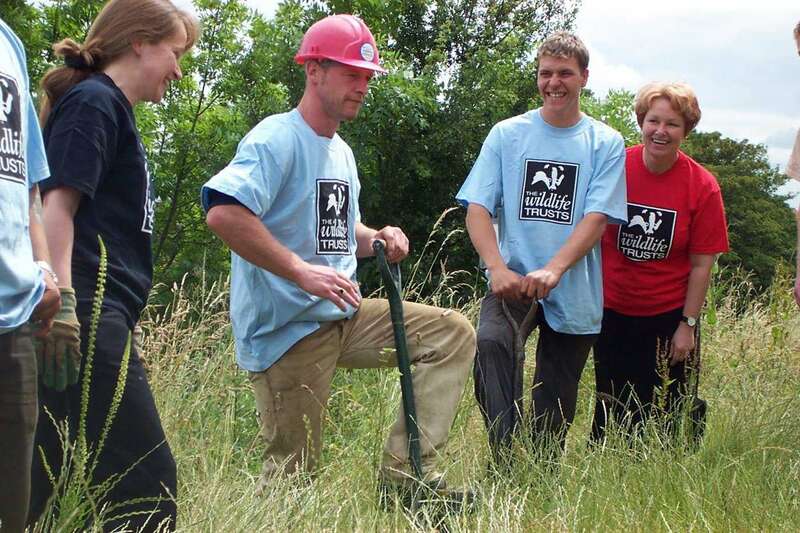 The Wildlife Trusts have more than 800,000 members, and are the largest UK voluntary organisation dedicated to conserving the full range of the UK's habitats and species, whether they be in the countryside, in cities or at sea. 134,000 of Wildlife Trust members belong to their junior branch, Wildlife Watch. The Wildlife Trusts manage 2,300 nature reserves covering more than 90,000 hectares. Their aim is to "stand up for wildlife, inspire people about the natural world and foster sustainable living". The Wildlife Trusts have been speaking out for nature in the UK since 1912. They are a unique organisation as most of their work for wildlife takes place at local grass roots level, but, collectively, this gives them a strong and recognised UK voice. The Wildlife Trusts work with people from industry, government, landowners, communities and families to try and make sure nature gets a chance. They campaign for better protection of wildlife and habitats by raising the awareness to the public and government of wildlife threats. 'The Wildlife Trusts recognise that farmers hold a key to the well-being of our countryside and, in turn, the health of our wildlife. Gardeners manage a vast area of the UK too; gardens are estimated to cover about 270,000 hectares - more than the area of all the National Nature Reserves in the UK. We are delighted to be bringing wildlife friendly farming and gardening together by working with Vine House Farm whose active commitment to conservation, and to sustainable and ethical supply chains, makes it a natural partner to The Wildlife Trusts. Both the Wildlife Trusts and Vine House Farm wish to reverse the decline of wildlife and enhance the diversity of species of the UK. Through the conservation work that they have undertaken, Vine House Farm is observing increases in bird populations compared to national populations which are either static or declining. One way for you to discover and re-discover the wonder of nature, is to feed and provide habitats for garden birds and other wildlife visitors to your garden. In doing so you can help to create wildlife corridors, which are vital to ensure our wildlife has enough room to adapt to climate change.